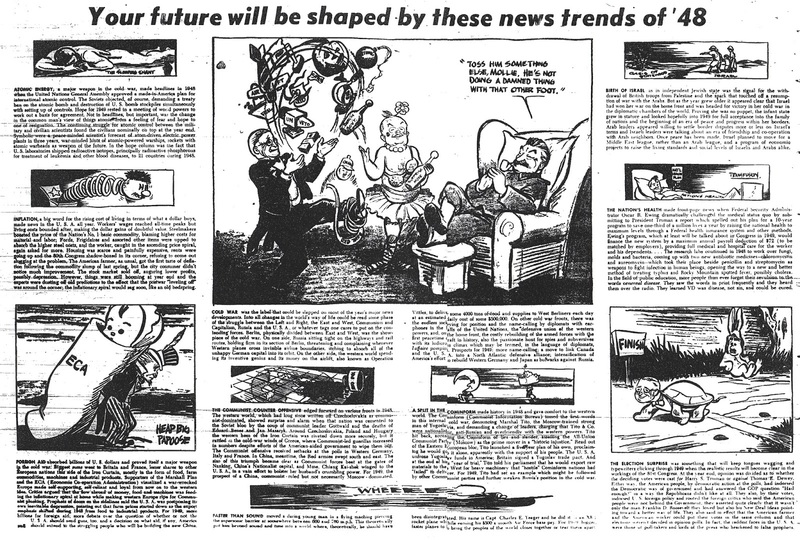 In honor of Walt Kelly's birthday, here is a double page from the New York Starm a socialist newspaper which appeared only very shortly in the late forties. Walt Kelly was on staff and not only did he premiere the first version of Pogo there (before it restarted as a syndicated strip a littl ebit later) but he also drew political cartoons and otehr stuff. The scans I have come from a set of very badly scratched microfiche scans at the New York Public Library (which I got when they still had those files open every day (as I understand it, they have now moved to a different location). But this one came out farly unscathed.